The study on which this infographic is based was made possible by grants from the Government of UK Department for International Development (until 2015), the David and Lucile Packard Foundation, the John D. and Catherine T. MacArthur Foundation and the Ford Foundation. The views expressed do not necessarily reflect the official policies of the donors. 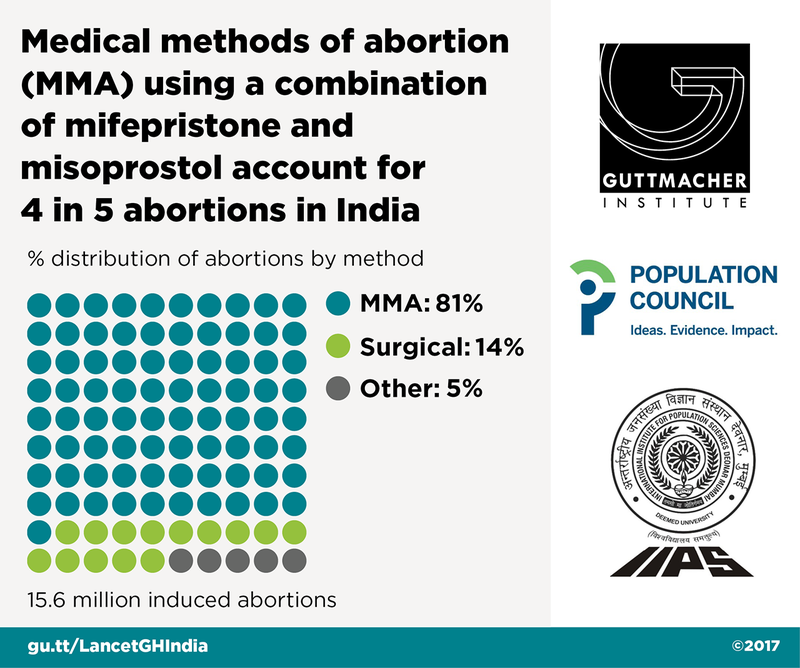 Singh, S et al., The incidence of abortion and unintended pregnancy in India, 2015, The Lancet Global Health, 2018.